The shiny new board on the Wellington Estate building is a clear giveaway that there is something different cooking at the Donut House. Bhuvanesh Subarayan, who brought us the chain of donut outlets five years ago, is launching a second brand, Tuckshop Gourmet. a�?Besides the dining area, these two brands have nothing in common,a�? assures the entrepreneur, as he shows us the exclusive kitchen that churns out the juicy tenderloin cheese burger which later finds prime place at our table. Invited to preview their menu, we sip on a lemon ice tea as Subarayan tells us that the beverages, desserts and donuts are vegetarian and from the Donut House menu. Keeping with the tuck box theme, the ample burger arrives in a shallow wooden box, with tangy homemade mayonnaise (spiced with calypso sauce), fries, ketchup and pickles on the side. The bun is soft and yielding, with the medium-done patty sitting on mayonnaise and melted cheese, complemented with caramelised onions and grilled tomatoes. Subarayan shares, a�?My main concern is the consistency of our bread. When different hands knead the dough it can affect the end result,a�? and adds that he took help from a chef in Australia to fine tune the recipes. 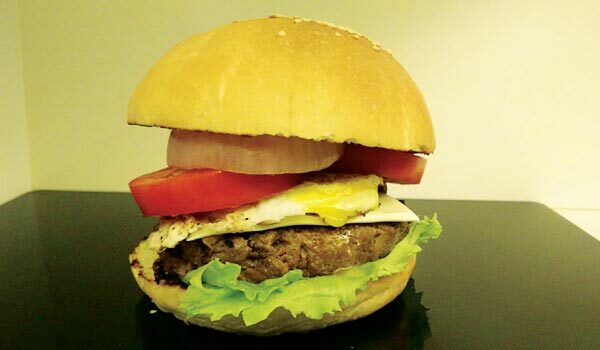 All set to launch in three weeks, Subarayan tells us to expect up to 26 varieties (of burgers and panini) on the final menu, with plans of multi grain options and breakfastA� soon. How Special is Your Dosa?